Al Nassr of the Saudi Professional League have raided the Premier League for the second time this summer by taking ​Leicester striker Ahmed Musa to the Middle East, ​BBC Sport has confirmed. Having signed Moroccan midfielder Nordin Amrabat from ​Watford last month, Al Nassr have flexed their financial muscles again by signing Musa and beating several European clubs to his signature. Musa moved to the King Power Stadium in the summer of 2016, after Leicester had just been crowned ​Premier League champions. However, he scored just two league goals as Leicester spent most of the season mired in relegation danger. He didn't feature for Leicester at all in the first half of the 2017/18 campaign and was loaned to former club CSKA Moscow in January, where he rediscovered his form with six goals in 10 matches. 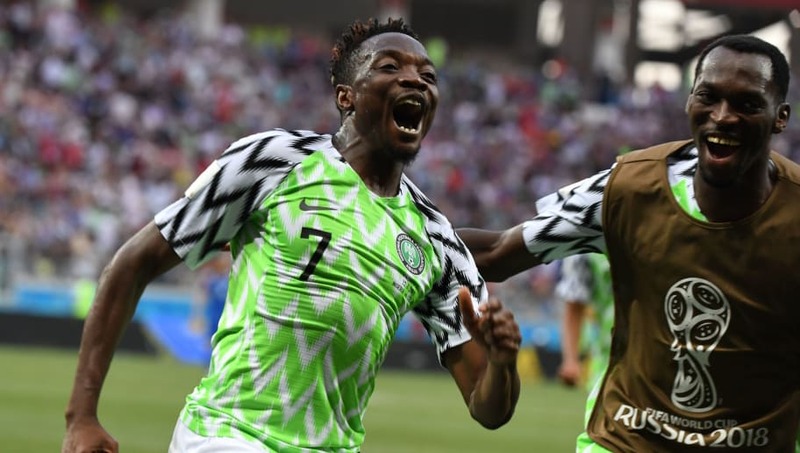 The Russian side had hoped to make Musa's move permanent but they were beaten to the punch by Al Nassr, who were impressed by Musa's performances at the World Cup. He scored twice in Nigeria's only win against Iceland. Claude Puel made it clear that Musa was not part of his plans for the forthcoming season and decided to cash in when Jose Daniel Carreno's team came calling. Musa has signed a four-year contract with The Global Club, who kick off their new season on 30 August. Al Nassr are not to be confused with Al Nasr, the UAE club who signed Yohan Cabaye from ​Crystal Palace earlier this summer.